A couple days ago I emailed a commentary about how I’m managing clients’ bond sleeves. As a brief refresher, I’m avoiding high yield / junk bonds and over-weighting Treasury bonds relative to investment-grade corporate bonds. 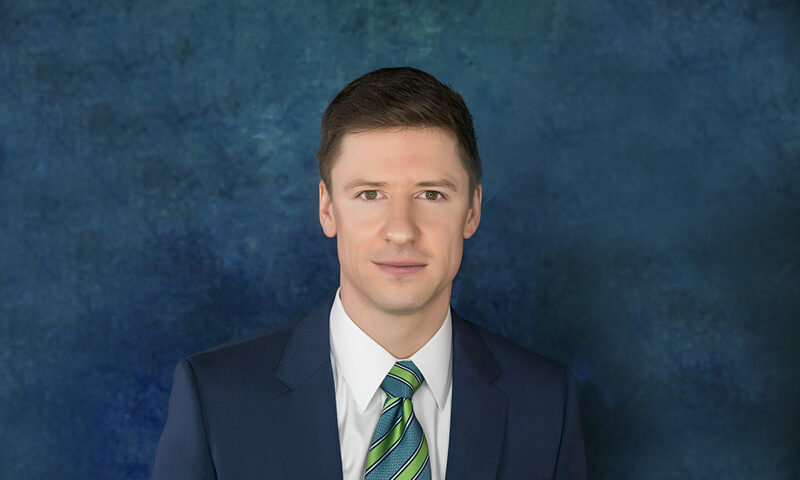 That commentary was very high level focused on the historical performance of each segment during times of economic and market stress. Today, I’m going to get a little deeper into the weeds. Bonds are rated by ratings agencies (Moody’s, Standard & Poor’s and Fitch) using unique yet similar rating systems. For instance, S&P and Fitch use AAA, AA, A, BBB, BB, B, CCC, CC, C, and D to designate the quality of a bond (AAA being the best and D representing ‘default’). Moody’s system utilizes Aaa, Aa, A, Baa, Ba, B, Caa, Ca, C. If you want more detail, this is actually a good comparison of ratings across the three agencies. Higher-quality bonds are considered “investment-grade” while lower-quality are consider high-yield / junk / speculative-grade bonds. In the S&P and Fitch systems AAA through BBB designate investment-grade bonds while BB and lower are speculative-grade / high-yield / junk. In the Moody’s system Aaa through Baa represent investment-grade. So BBB and Baa means a bond / company is investment-grade but barely. I mention all this because triple-B bonds are becoming a greater and greater share of the overall investment-grade bond market. That lowest quality rating is assigned to almost half (48% to be exact) of the investment-grade market. Put another way, almost half the investment-grade market is near the edge of “junk” status. Not good. A more typical ratio would be about 1/3rd. Credit quality is deteriorating. This also means that the bond index funds you may be using have lower credit quality than in the past (not too mention greater duration / interest rate risk also, but I digress). Furthermore, these BBB companies are taking on more and more debt. As of 2017, BBB companies were about 3x levered, a sharp rise from 2.5x leverage of 2015. We often hear about corporations sitting on more cash than ever. What we don’t hear about is that they’ve also borrowed more than ever. 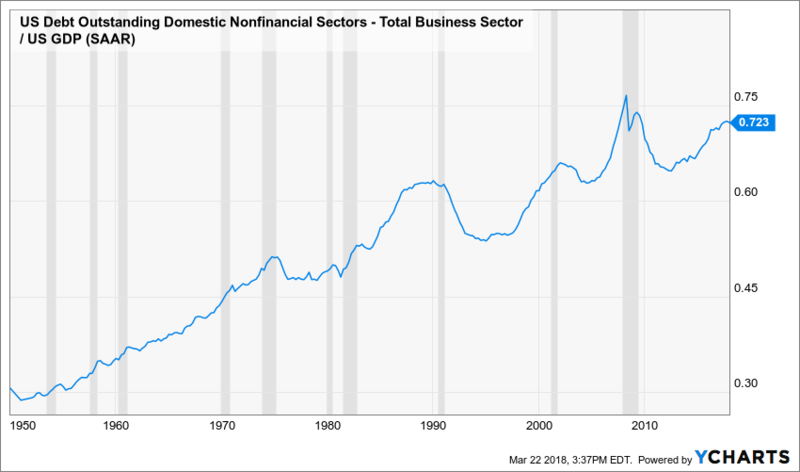 Non-financial corporations’ debt as a percentage of GDP is near a record at about 73%. 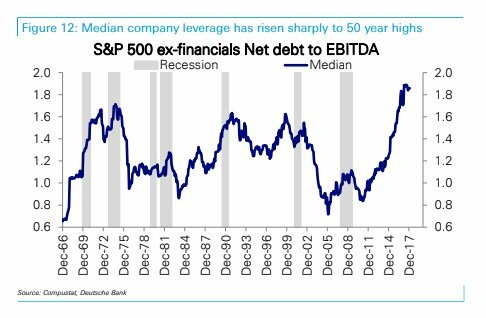 Median net debt to EBITDA is highest in 50+ years. See chart below. 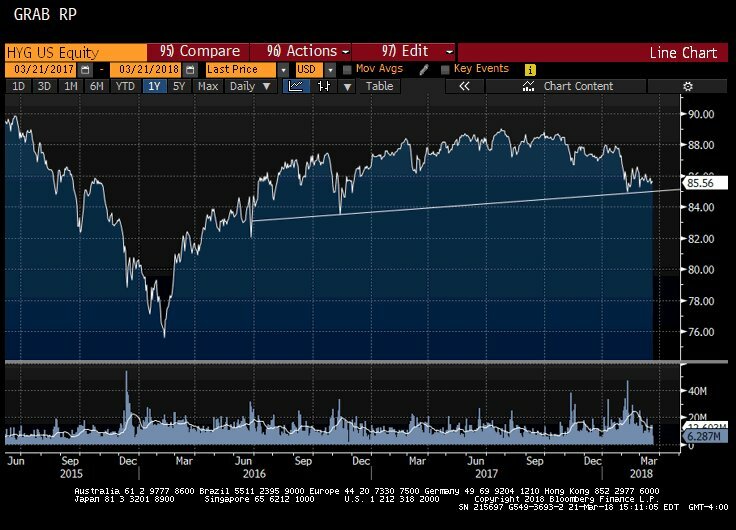 Here’s a chart shared by Raoul Pal on Twitter showing the high yield bond ETF (Symbol: HYG) starting to roll over. Is this a topping process? Here’s a longer-term view of the same. We see the high yield tends to lead stocks (remember we had two 10%+ corrections in late-2015 and early-2016). The more debt a business, government or individual has, the more fragile they become. Greater debt equates to greater vulnerability to economic slow down/recession, rising rates, and/or loss of income to competitive pressures. So it’s not advised to load up on highly-indebted companies in the last innings of a growth cycle. We’re already starting to see some of the ill-effects resulting from this leverage, particularly in the retail space, which is littered with companies that were levered up over the last decade. There were 50 retail bankruptcies in 2017. We also recently learned that Toys R Us will be shuttering all their stores. These are canaries in the coal mine. Slowing growth and rising rates will eventually expose the rot behind the walls and accelerate defaults across more sectors of the economy. High yield bond indexes (historically a reliable forecaster of future stock price action) have begun rolling over and may be in a topping process. 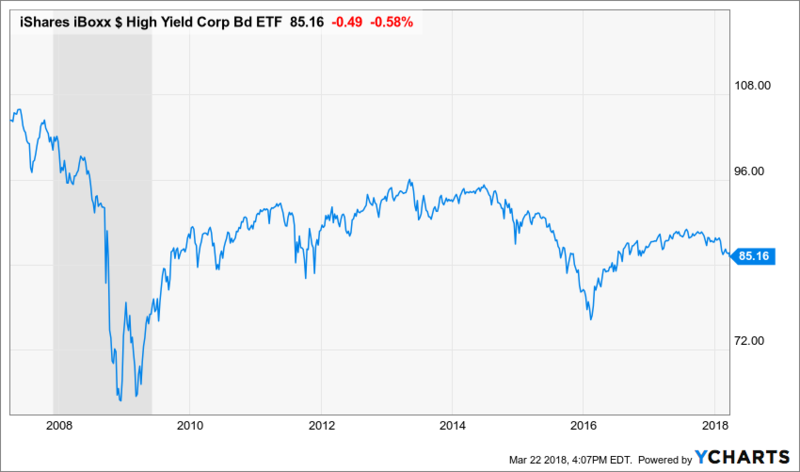 In addition to the reasons explained in the previous bond commentary, you can see why I’m tilting my clients’ bond investments away from high yield and investment-grade corporate bonds towards Treasuries.